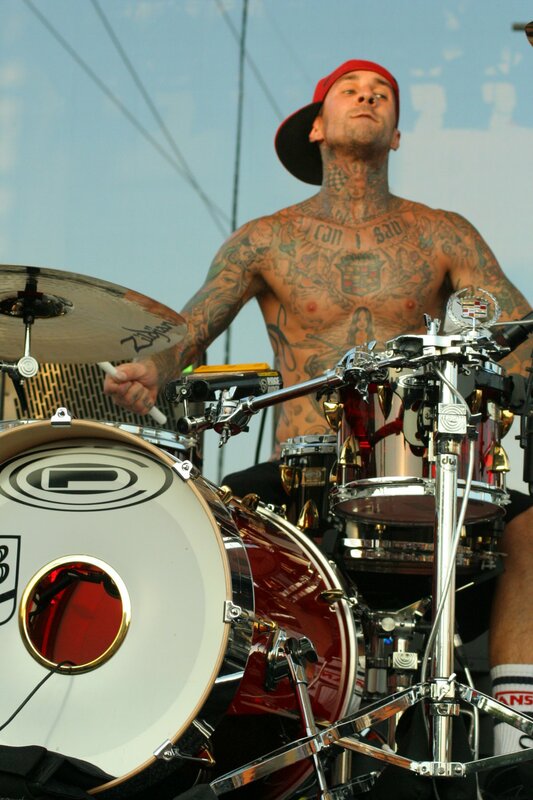 Former Blink-182 drummer Travis Barker used the Internet to thank his fans for supporting his recovery from injuries suffered in a South Carolina plane crash. Barker posted a message on his MySpace blog Saturday thanking his fans and honoring his assistant and security guard who died in the Sept. 19 crash. Assistant Chris Baker and security guard Charles Still were among the four people killed in the plane crash in Columbia, S.C. Barker and disc jockey Adam "DJ AM" Goldstein suffered severe burns. In addition to posting his MySpace message, Barker posted a series of photographs that detailed his recovery process in a hospital. People magazine said the rocker also thanked the doctors treating Goldstein, who is "doing well." "Seeing him after he was discharged was an inspiration," Barker wrote. "I saw just how awesome the doctors' work here is, and got to see how well he is doing. I am so happy to see him doing well, and we are both so lucky and grateful that we are alive today."